Gwen Stefani reveals that one of the hardest parts of her divorce was the separation of her family. 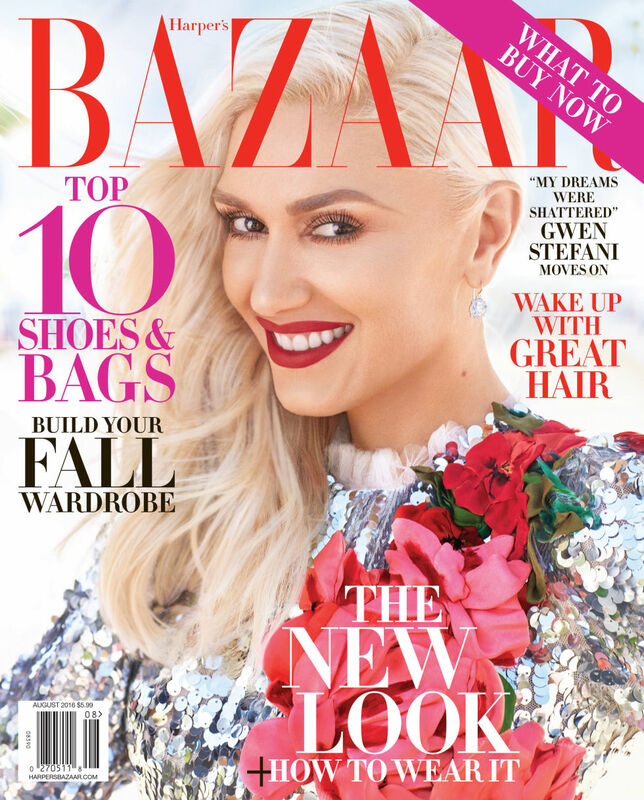 In the August issue of Harper's Bazaar magazine, the 46-year-old, who graces the cover, talks about how ending her 13-year marriage took a toll on her time with her children. "It was so insane because not only did my family break up, but then my kids are taken away like half the time," she said during the interview. "So that was really like, 'What?! What did I do? My dreams were shattered." She continued: "All I wanted my whole life was to have babies, be married, like what my parents have. Then I remember thinking, 'There's gotta be a reason for this.' Of course you go through the 'Why me? and feel sorry for yourself. But then I was like, 'No, this happened to me already and I made something good out of it,' and that was Tragic Kingdom." Gwen and her ex-husband Gavin Rossdale announced they were ending their marriage last August. The pair, who married in September 2002, are parents to three sons Kingston ten, Zuma, seven, and two-year-old Apollo. The Voice coach admits that even though she has been an open book about her life, she leaves out some details to protect her boys. "It's because I have children," the cover star shared. "As a famous person, you start to think, 'I can't say all that because I'll embarrass them or hurt them in some way.' And especially now because they can see everything and hear everything. But I've done nothing I'm ashamed of...[breaks into laughter] Well, we all have a few things we're ashamed of." One thing Gwen isn't ashamed of is her relationship with country superstar Blake Shelton. The No Doubt front woman and her fellow The Voice judge went public with their relationship in November 2015. The pair have since been open about having each other to lean on through last year's 'embarrassing' break ups. When it comes to discussing the man who credits her for saving his life, Gwen holds nothing back. The Cool singer revealed the moment when she found out that Blake, 40, was going through his public divorce with Miranda Lambert at the same time she was ending things with Gavin. "Blake was like 'Everybody, before we go out there, I want to let everyone know that by the time this airs, I will be divorced," she reminisced. "It was like being handed this gift of a friend who was going through the exact same thing at the exact same time." Gwen, who is featured on the song Go Ahead and Break My Heart with Blake, reflected on how starting their relationship turned everything around. "It was from horrible to, like, hopeful and like 'Wow, God, you just don't know what's gonna happen next." Just like their mom, Gwen's sons have been spending a lot of quality time with Blake. On Kingston's tentth birthday, Blake escorted Kingston and his mom via helicopter to his performance at Firestone Legends Day concert at the Indianapolis Motor Speedway. Blake was also in his element with the boys as he had the trio with him during the premiere of The Angry Birds movie in April.